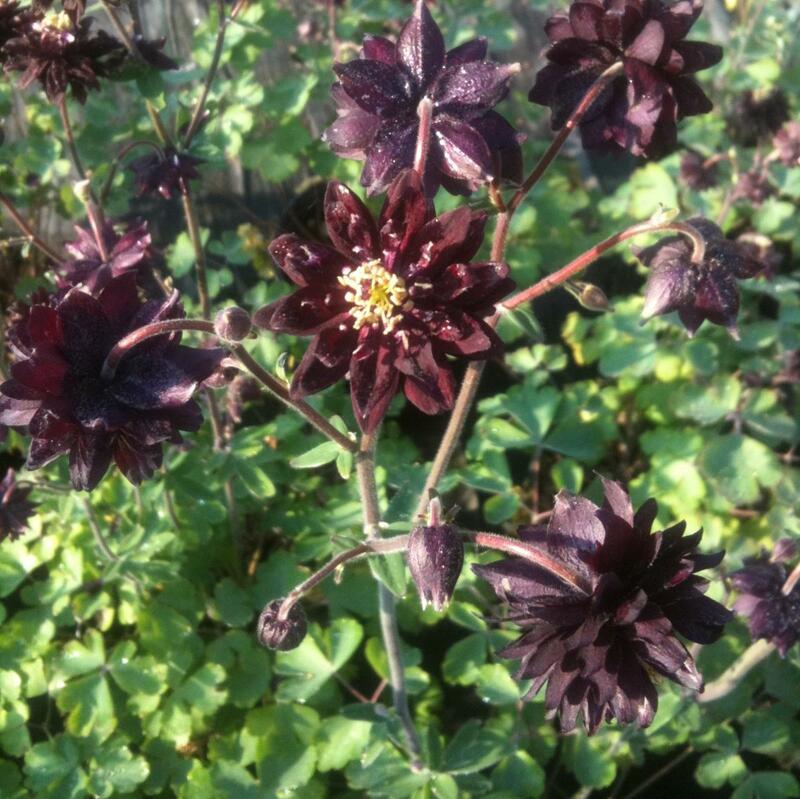 Aquilegia 'Black Barlow' is a delightful upright perennial to 90cm tall, with grey-green divided leaves and distinctive, pompon-like, deep purple-black flowers in early spring and summer. Easily grown in average, medium, well-drained soil in full sun to part shade. Tolerates wide range of soils except heavy, poorly drained ones. Prefers rich, moist soils with light to moderate shade. Remove flowering stems after bloom to encourage additional bloom. 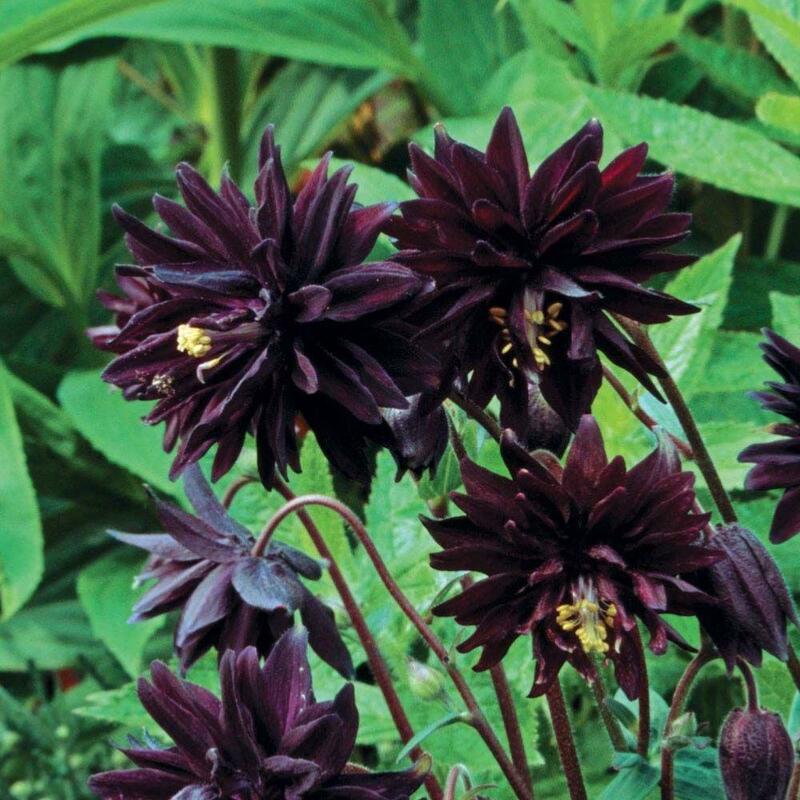 Keep soil uniformly moist after bloom to prolong attractive foliage appearance. When foliage depreciates, plants may be cut to the ground.